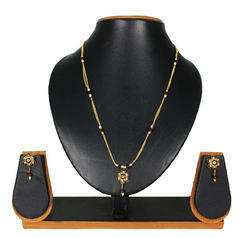 We are offering Meenakari jewelry to our client and our product is made of good quality. 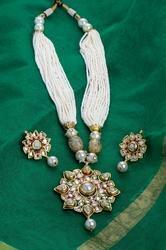 Traditional & Antique pink pearl necklace Set with Earring Set. Fashion Jewellery Beautiful Look. Wholesale rates will be different With the help of our skilled craftsmen, we have been able to facilitate our clients with a unique assortment of Colorful Mala. These malas are designed by skilled professionals, making use of high-grade materials and latest hand tools. Made in cohesion with the prevailing market trends, these malas suit the requirements of fashion concerned ladies.